We set out to offer our customers exceptional products, inspired by Belgium’s culinary heritage. Today, our products are way ahead of the competition thanks to their reliability, durability and user-friendliness. Over a million of our fifty-year old waffle maker have been sold on the Belgian market alone. 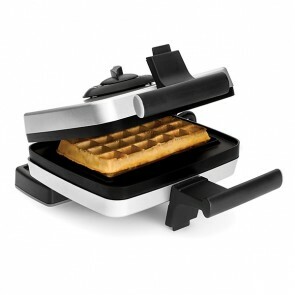 With its interchangeable hot plates, it is a unique product that makes it possible to whip up several styles of waffles. Monday through Thursday, 8 a.m. - 4:30 p.m., Friday, 8:30 a.m. - 4 p.m. C.S.T.